Are you waiting for UPPSC Combined State Service Exam Notification 2018? If yes, then here is good news for you. Uttar Pradesh Public Service Commission is ready to release notification for Upper Subordinate Service Exam and CSSE 2018. The advertisement is released for filling up 924 PCS, ACF, RFO and other vacancies. Applicants who are interested and eligible for UPPSC Combined State/Upper Sub Ordinate Exam may apply online only. The application form for UPPSC PCS Recruitment is available from 06th July 2018. Candidates can fill their online form till last date 02.08.2018. 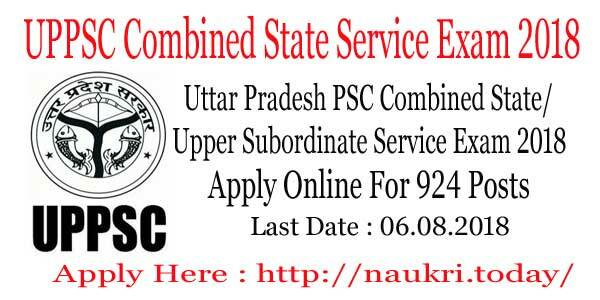 UPPSC is inviting online application for conduct examination of Combined State/ Upper Subordinate Service 2018. This is a great opportunity for candidates who are waiting for UPPSC PCS Examination 2018. The registration form of UPPSC Combined State Service Exam 2018 is available on 06.07.2018. Furthermore, information like eligibility criteria, application fees, selection Procedure and others are mention below. Our team also mention easy steps to Apply Online for UPPSC Upper Subordinate Service Exam 2018. So read full article carefully. Fresh Update as on 06.07.2018: Uttar Pradesh PSC Combined State Service exam registration will start from 06.August.2018. Candidates can apply online from links given below. Aspirants must check eligibility criteria, age, and selection before filling up an application form. What is the Application Fees for UPPSC Upper Subordinate Service Exam 2018 ? Candidates who wish to apply for UPPSC RFO Recruitment 2018 must fulfill eligibility criteria. It includes information of education qualification, age limit and other parameters. So if you are going to apply for UPPSC Combined State Service Exam 2018 must ensure that you are eligible or not. Applicants those want to apply for UPPSC Upper Subordinate Service Exam 2018 must check required qualification. For UPPSC PCS Jobs 2018 applicants should complete their Graduation in relevant field. For more details check official notification. If you are going to apply for Uttar Pradesh UPPSC PCS Vacancy 2018 then you must complete 21 years. Candidates should not be more than 40 years for UPPSC Combined Service Exam 2018. Upper age relaxation is applicable for SC/ST 05 years. While OBC candidates will receive 03 years maximum relaxation. If you are going to fill UPPSC PCS Recruitment online form then you must pay an application fees. Fees once paid is not refundable in any condition. Here we describe category wise application fees of UPPSC Combined State/Upper Subordinate Service Exam 2018. Candidates selection will be made on the basis of written exam and personal interview. For UPPSC PCS Recruitment applicants will select from their performance in Pre & Main Examination. After than a personal interview will be organized for qualified candidates. Check below for more information. After the selection of candidates, they will receive the monthly salary. If candidates are qualified all round of UPPSC Combined State/ Upper Subordinate Service Exam 2018 then they will receive an attractive salary. The expected pay Scale is Rs. 9300/- to Rs. 34800/- with Grade Pay Rs. 4200/-. And Rs. 15600/- to Rs. 39100/- with Grade pay Rs. 5400/-. Interested and eligible candidates may apply online for UPPSC Upper Subordinate Exam 2018. If you are going to fill online application form then you must have valid email id and mobile no. In below section, we provide some of the steps, which are helpful for you. Firstly all applicants go to official site uppsc.up.nic.in. Download UPPSC PCS Exam 2018 Notification. Fill up your personal information and then you get unique registration no. and password. Now enter your qualification details on your application form. Submit UPPSC Combined State Service Exam 2018 Online Form. Take print out for future uses. Conclusion : UPPSC Combined State Service Exam 2018 Notification is released for filling up 924 Posts. Online application form of UPPSC PCS Vacancy is available from 06.07.2018. The last date of submission application form is 06th August 2018. Uttar Pradesh Public Service Commission is going to conduct UPPSC Combined State Service Exam 2017 for recruit the candidate. There are 251 Post of Sub-registrar, Lecturer, DHO, Statistical Officer, Designated Officer & Other Posts. Candidates who are looking for government jobs can appear in Uttar Pradesh Combined State/Upper Subordinate Service Exam by filling online application forms as on or before the last date that is 27.03.2017. Aspirants are suggested to go through this page to fetch complete information which is well modified by the team members of naukri today. About UPPSC : The Uttar Pradesh Public Service Commission (UPPSC) is the state agency authorized to conduct the Civil Services Examination for entry-level appointments to the various Civil Services of Uttar Pradesh. The agency’s charter is granted by the Constitution of India. Articles 315 to 323 of Part XIV of the constitution, titled Services Under the Union and the States, provide for a Public Service Commission for the Union and for each state. Candidates can download Eligibility Criteria, Combined State Service Exam Date, UPPSC State Service Syllabus from the official site or from the official links. Candidates should have completed Law Graduate/ Post Graduate Degree/ Commerce Graduate/ Science Graduate in Horticulture/ Degree in Sociology or Social Science or Home Science or Social Work/ Post Graduate Degree with B.Ed/ Post Graduate Degree in Psychology/ Post Graduate Degree in Chemistry/ Bachelor’s Degree/ Post Graduate Degree in mathematics. For more details applicants can download the UPPSC Combined Sate Service Notification 2017 from the official website. The minimum age of appliers for UPPSC 251 Jobs should not be below 21 years and upper age should not be more than 40 years for Male and 45 years for Female candidates. Applicants who are appearing in the UPPSC Combined Sate Service Exam 2017 will be age relaxation also. SC/ST applicants will get 05 year of age relaxation in upper age. On the other hand OBC category will get 03 years of relaxation. Upper Age limit will be relaxed for classified sports persons up to 3 years & 3 years for Ex-Servicemen . Job hunters who belong to unreserved category (General/ OBC) they have to pay Rs. 125/-. Those candidates who belong to reserved category (Scheduled Caste (SC) & Scheduled tribe (ST)) they have to pay Rs. 65/- as an application fee for UPPSC Exam. For Handicapped Candidates: Rs. 25/-. the payment of fee will be done through offline or online mode by using Net Banking / Debit Card / Credit Card or Bank Challan. All appliers who finally selected by the recruitment panel as an employee can get an attractive salary package with other allowances as per government norms. The expected pay scale of these posts is Rs. 9,300/- to Rs. 34,800/- with a grade pay of Rs. 4,200/- to Rs. 15,600/- Rs. 39,100/- + Grade pay Rs. 5400/-. Applied candidate should be selected on the basis of best performance in the written exam (Pre & Main) and Personal Interview. Qualified candidates will call for Interview. Commission also published the specific syllabus for state engineering service. General Hindi and General Study question will be objective type and engineering subject will be conventional type. Syllabus of the written Examination General Hindi: there are no specific syllabus published for Hindi subject. The difficulty of the questions of Hindi subject will be high school level . so candidates are advised revised high school Hindi of Up board for better preparation of this section. General study : Latest Current Affairs , , History of Hindi, Police, Geography, general science Etc. All the interested candidates who want to apply online application form for the Uttar Pradesh Public Services Commission exam for Combined State/ Upper Subordinate Service must firstly, read the official notification carefully that is provided Below. 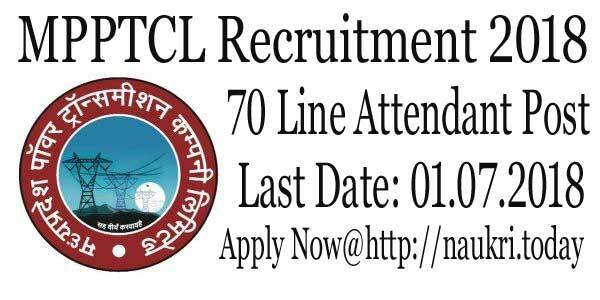 All Candidates should Check the official site which is www.uppsc.up.nic.in. After that, check the notification & advertisements section. 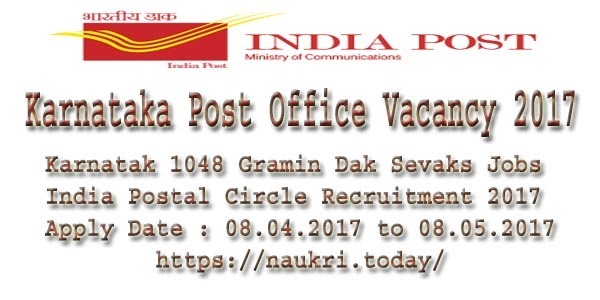 Then click on the UPPSC Upper Subordinate Service Recruitment 2017 official notification and download it. Then Read all the information such as eligibility and how to apply and all. If you are eligible then, click on the apply online link. Select the option for New Registration. Now fill all the mandatory details in the UPPSC Online Applications, as per your educational certificates without any mistake. Now Upload your scanned photograph and & Signature correctly. Finally Submit and Take a printout of your UPPSC Online application for future reference. Conclusion : The Uttar Pradesh Public Service Commission (UPPSC) has released an official notification for Combined State/Upper Subordinate Services Exam 2017 for 251 Post. The last date for the submission of an application for the UPPSC Combined State Service Exam is 27th March 2017.